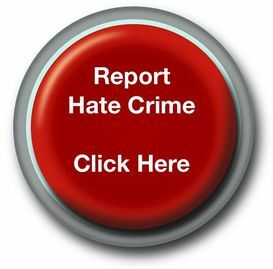 Roy Wakefield, 63, was sentenced today at Bexley Magistrates’ Court for two counts of using threatening, abusive or insulting words to cause harassment, alarm or distress. The offences occurred on 19thDecember 2015 in the Erith area. The victim in the case is a 17-year-old girl who is partially sighted and is assisted by a white cane and assist dog. This was prosecuted as a disability hate crime and therefore Wakefield’s sentenced was uplifted from 12 weeks’ imprisonment suspended for 12 months to 20 weeks’ imprisonment suspended for 12 months. He was also ordered to pay £150 compensation to the victim and complete 150 hours of unpaid work. A restraining order was imposed. CPS London reviewing lawyer Toyin Odumade said: “Roy Wakefield purposefully targeted a young and vulnerable girl who was merely waiting at a bus stop on the way to meet friends. “Wakefield began aggressively shouting abuse at the victim who recognised his voice. She felt frightened and alone and was very upset by the incident. “Wakefield’s shameful behaviour clearly showed his hostility towards the victim’s disability and we were able to ask the court to increase his sentence accordingly. “We were able to assist the victim in giving evidence in court by applying for special measures which allowed her to give evidence via video link from a different room and also to have her assist dog with her while giving evidence.